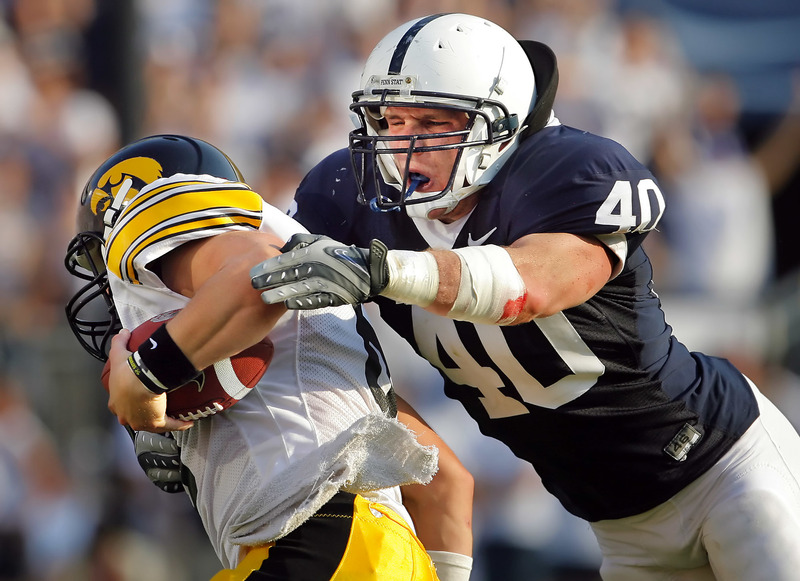 Dan Connor, formerly of my alma mater, Linebacker U. and more recently of the NY Giants, was arrested in Philadelphia on Saturday morning after TSA screeners found a four-inch knife in his carry-on luggage. CNN is saying it was a switchblade knife, but then again CNN has a tendency to use the most politically and emotionally charged term to describe any given weapon, accuracy be damned. Dan was released without bail, but will still be facing charges of “Possession of an Offensive Weapon” when the prosecutor’s office gets around to investigating the charges. Interesting. I looked at easily a dozen different articles on this story, all of which had different wording (they weren’t all just repeats of the same CNN or AP story, in other words), but none of them did not use the word switchblade. ??? Last time I got on an airplane TSA confiscated my knife. That’s happened twice now. OK, it was a regular pocket knife, not a switchblade. So maybe they found the knife when he went through security, but arrested him because it was a switchblade?